An Acupuncturist is a person trained and licensed to practice Oriental Medicine, which includes Acupuncture and herbal medicine, as well as supportive therapies such as moxibustion, cupping, electrostimulation, Chinese nutritional counseling, tai chi, and qi gong. 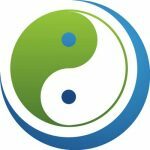 Acupuncturists utilize multiple modalities in order to provide truly holistic medicine: addressing problems on the level of the mind, body and spirit. Acupuncture is most commonly used as a natural method of pain relief, however it can also effectively treat digestive problems, respiratory issues, hormonal imbalances, and neurological conditions… just to name a few.